North Fulton Pest Solutions is your source for affordable, reliable pest control in Dunwoody. Homeowners are often surprised by the difference in quality between commercial pest products and those sold on the store shelf. Stop wasting money on ineffective pest control measures and worrying about insects and wild animals taking over your home. Give us a call today, and we’ll solve your problems right away! Georgia’s climate presents an insect paradise. The hot, humid summers encourage fast development. Unlike many areas, the winters here are too warm to kill off existing populations. We’re home to more species of ant, mosquito and other common pests too, meaning there are more bugs here to contend with. They’re always in search of food and for ways into your property. We also offer one of the few wildlife removal services executed by Georgia Department of Natural Resources licensed trappers. From squirrels and bats to raccoons and rats, we can skillfully and responsibly clear your home of intruding animals and keep them out! The same insects and rodents giving you problems at home can be issues on the job. We work diligently to assess your pest risks and put effective, affordable solutions in place. Hire professional pest control management before you’re faced with an infestation. Whether you’re a real estate agent needing termite clearance paperwork or a business owner with a chronic bat problem, you can count on North Fulton Pest Solutions for a fast and long-lasting fix. Termite infestations can be expensive and cause a great deal of damage to a home or property; they’re not good news for a homeowner. In Dunwoody termites are a very real threat. Finding Termite Control in Dunwoody, GA can be a challenge, but North Fulton Pest Solutions is a name you can trust. We use some of the most advanced products available so that you can rest assured the job will be done right. Our Lifetime Renewable Guarantees provide the ultimate in peace of mind, while our Damage Repair Guarantees safeguard against the extensive costs and damage that termites can cause. We protect your home using two of the most effective termite products available. They have been proven to control termite infestations and provide preventative termite protection. Sentricon® Termite Colony Elimination System with Always Active™ Technology. This green alternative to a liquid termite treatment is used to protect millions of homes, including the White House – so why not yours? It destroys individual termites as well as the colony so that your home is free from termites. Recruit® HD termite bait is placed in every bait station around the perimeter of your home on the first day of installation so your home will be protected 24/7, 365 days a year; many other so called termite baiting system contain no termite bait at all at the time of installation! Termite Treatments featuring Termidor®. This product has a unique “Transfer Effect™” made to destroy termites that come in contact with or ingest the non-repellant liquid residual termiticide either directly or indirectly. Imagine a termite comes into contact with Termidor® by crossing through the area that was treated. Then that termite comes into contact with another termite which never came into direct contact with the Termidor® in the treatment zone. 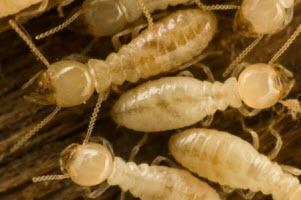 The first termite transfers the Termidor® to the second causing a domino or virus like effect throughout the entire termite colony ultimately leading to eradication of the termite colony itself. Two Dunwoody, GA area companies participate in the Builder’s Club program and North Fulton Pest Solutions is one of them. Builders can purchase our preconstruction termite treatment and earn Club Points that they can then redeem for rewards. All termite services and termite treatment plans begin with a termite inspection. We then make a professional recommendation based on our expertise and the results of our inspection. Often times our recommendation incorporates components of both a liquid residual treatment (with Termidor®) and a termite baiting system (we always recommend Sentricon® with Always Active™ from a termite baiting perspective) so that we can control termites using a multifaceted approach to provide you and your home with the ultimate protection. Our termite inspection covers both the interior and exterior of your home. Whether termites are found or not, we will help you find the best course of action to make sure your home is protected. When buying or selling a home, termites are always a concern. A Dunwoody termite inspection and the Official Georgia Wood Infestation Inspection Report (often times called the “termite clearance letter”) are important items to address to ensure the property is properly protected from termites and other wood destroying organisms. Homeowners and real estate agents can use our convenient website form to submit their requests. North Fulton Pest Solutions provides professional, complete termite control in Dunwoody, GA. Call us and we will work with you to create a termite control plan that will best meet your needs. If you have termites, think you do, or would just like the peace of mind that you get with termite protection, we can help. There is no shortage of wildlife in Dunwoody, GA, and while it is a real treat to see them in the woods or in a park, it isn’t so great when they get inside your home. The development of cities and neighborhoods has pushed back the natural habitat for raccoons, opossums, bats, skunks, rodents, and squirrels as well as many other wild animals, causing them to seek shelter in human dwellings. Hiring a Dunwoody wildlife removal professional can get the wild animals out of your home and prevent them from returning. While many people think that raccoons and squirrels are cute and their presence around houses is novel, there is nothing attractive about what these animals can do to a home. From chewing wires to destroying stored items, they can wreak havoc in your home. They can also be dangerous. If a child or pet encounters an animal in your home, they could be bitten or injured. What’s more, wild animals can also bring other household pests like ticks, fleas, and mites into your home. Some of these pests are known to cause certain diseases like Lyme disease. Wild animals belong outside. Georgia has stringent laws regarding wildlife removal; so, homeowners are discouraged from trying to do it themselves. There is a very real risk of injury, and if it is not carried out according to the law, they could find themselves in some deep legal waters. A professional wildlife removal technician is trained in getting rid of wildlife in a way that is humane while minimizing any risks to the home, the humans in the home, and pets. They can also provide prevention tips to help you keep the wildlife outside where it belongs. North Fulton Pest Solutions is your one stop shop for GA wildlife removal in Dunwoody. Our professional technicians are trained and licensed in nuisance wildlife removal as indicated under Georgia law. 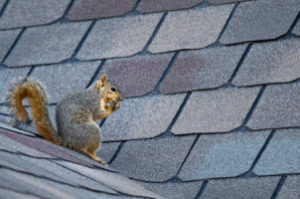 Wild animals in your home can decrease your property value and are a health and safety risk. Don’t try to remove the animals on your own, call North Fulton Pest Solutions today and let us take care of your wildlife problem. We’ll help you get rid of the animals and give you guidance on keeping them away. Superior Pest Control Services, Guaranteed! We make customer satisfaction our top priority, which is why we only use the best products available on today’s commercial market. Our expertly trained technicians have access to effective products and baiting systems. We go above and beyond to find the most appropriate solutions to the pest issues plaguing your home. Our service agreements assure you’ll get value from every penny you spend on pest prevention. Contact us today for details on our service guarantees. North Fulton Pest Solutions has been in business for over 45 years. Our family has worked hard to help Dunwoody residents feel comfortable at work and at home. Find out for yourself how fast we clear invasive insects and wildlife out of your properties. Enjoy the benefits as we keep them out for good. Contact our trained pest professionals at 770-475-7419 for a free quote on all our pest services.